Right on the Bike Path! 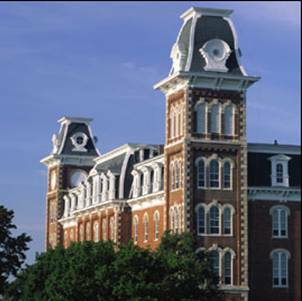 A great location for UA students, with quick access to the Blue bus route. Just 5 minutes to campus! Scull Creek Trail, opened in October of 2008, extends from Maple Street north to Mud Creek Trail, providing a continuous 6.3 mile trail network. Scull Creek Trail is the "backbone" of the trails system due to its central location and connectivity to numerous parks, residences, businesses, and the University of Arkansas. The 12 foot wide trail is constructed of concrete in low areas and asphalt in higher areas. Lighting is included on most of the trail for increased safety and extended use in the evenings.This trail is 4.4 miles in length. To learn more about Skull Creek Trail click here. clubatthecreek@gmail.comCall or email us today! Click "GET MAP" for driving directions.